Meanwhile, Rihanna was busy rummaging through Nicki's wigs! 2. 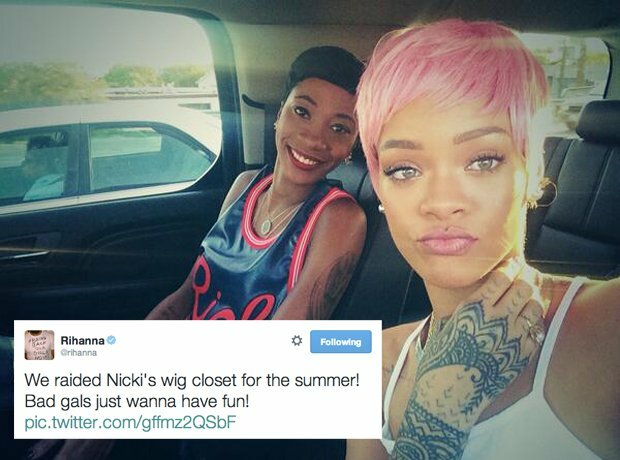 Meanwhile, Rihanna was busy rummaging through Nicki's wigs!